Here's the latest addition to the Eccentric backline collection housed at Snap Studios, a beautiful Wallace 3500 XT tube amp. As readers know, Wallace amps are ...my ultimate; full, meaty, quiet and more powerful than a team of British Brexit negotiators. Industry standard for discerning guitar and particularly bass players, these are the rarest of the rare. An early 1960s Selmer Zodiac tube combo with Fane speakers. Raunchy, gritty and loud, these were once a staple of touring bands before head-high stacks and mega PAs took over. Beautiful vintage Fender tube amp with a rich midrange. A little beast that sounds awesome on guitars and Wurlitzer. Awesome vintage amp heads which pair wonderfully with out 4x12 cabinets! 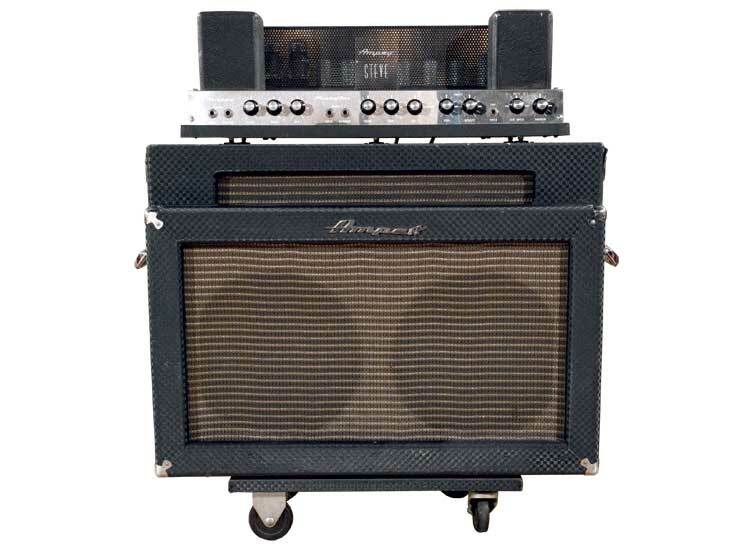 The classic Motown bass amp. Clear and punchy. The ultimate for classic bass tones. Ballsy American made tube amplifier. Unique amplifier which gives a wonderful clean tone.